At Rocky Top Sports World, we are much more than a sports venue. In fact, you may be surprised by just how many unique group events we can cater to, including your next family get together. Whether you are planning a family reunion, a memorable day out, or a simple get together, we promise you will not be disappointed in all the ways our Gatlinburg sports complex can add a healthy dose of Gatlinburg family fun to your next trip to the area. For starters, it is important to note how versatile our complex is when it comes to planning a Gatlinburg family fun event. 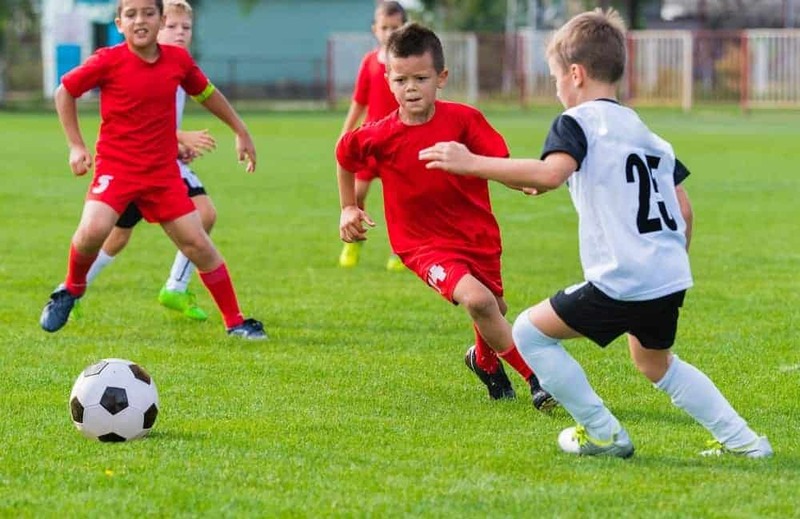 Here, you can plan your own field day and take advantage of the brand new turf fields surrounding our complex or you want to host your own basketball tournament or indoor competition in our state-of-the-art facility. It doesn’t matter how you choose to spend your time here. All that does matter is that you know our venue can cater to whatever needs you and your family may have. Your event doesn’t even have to be sports-related to host it here. You can easily opt to use our venue for a reunion, an anniversary party, a birthday party, or any other family get together you can think of. When it comes to planning a large family function, you may run into the issue of finding a venue that can accommodate all of your loved ones. However, that is not the case at Rocky Top Sports World. In fact, you may be amazed by just how many of your loved ones we can fit in both our 86,000 square-foot facility and our outdoor recreational space. With this large of a capacity, we promise you will have no trouble inviting all your family, friends, and acquaintances to join you for a memorable Gatlinburg family fun experience. One of the things that sets our Gatlinburg sports complex apart from other group venues is we offer a very unique and memorable atmosphere. We are the only large group space in the area that offers 6 basketball courts, 12 volleyball courts, an outdoor/indoor grill area, 6 outdoor turf fields, and more! With all of these unique aspects of our facility surrounding you, you will have no trouble coming up with a fun and memorable theme for you event, as well as a ton of photo opportunities to help your loved ones remember this experience for years to come. To learn more about all of the amazing features our Gatlinburg sports complex offers, watch the video below! The unique features found in and around our complex are not the only things that will help you remember your exciting experience here. We can’t forget the unbeatable scenic views that surround us as well. Including both panoramic views of the majestic Smokies and downtown Gatlinburg, the scenery surrounding Rocky Top Sports World is unmatched in the area. We love the scenic views that surround our facilities because not only do they help you connect with the area, they also give you the perfect backdrop for a fun and memorable experience. Plus, they make for some incredible photo opportunities as well. Last, but not least, we cannot forget to mention all of the relaxing Gatlinburg lodging options found near Rocky Top Sports World. Whether you are looking for a large rental to house all of your friends and family or you are looking for a more private setting to retreat to when you day of Gatlinburg family fun is over, we guarantee you will not be disappointed in the amazing variety of rentals available to you when you plan an event at our Gatlinburg sports complex. From hotels to cabins to condos, we have partnered with the best choices the area has to offer to ensure you have the perfect place to stay when you visit. Even better, all of these lodging options are just a short drive away. There is no sitting in traffic for long periods of time or missing precious vacation time due to a long commute. Instead, you get to make the most of your time here by staying close by to our venue. Start planning your next Gatlinburg family fun adventure today by contacting the event planners at Rocky Top Sports World. They will be more than happy to answer any and all questions you and your loved ones may have. This entry was posted in Our Gatlinburg Sports Complex on August 27, 2015 by rockytopsports.